Roots, burls, rattan and wicker materials add a natural outdoorsy dimension to display. 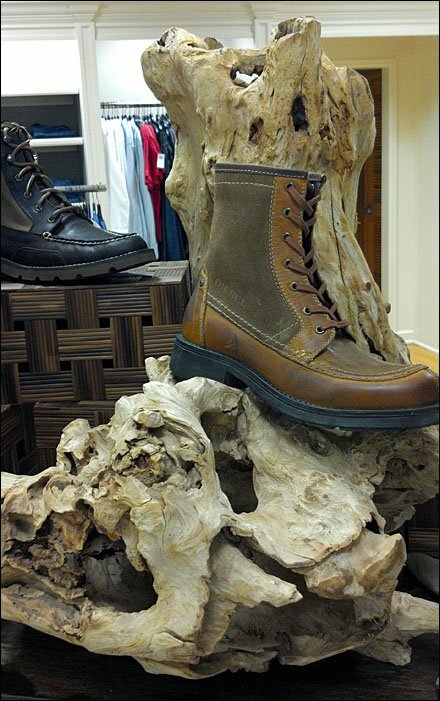 The roots and burls in particular play up the rugged aspect of hiking boots. These display pieces were amazing props that I wouldd have loved to have in my home. I just couldn’t figure out a way to shoplift them. 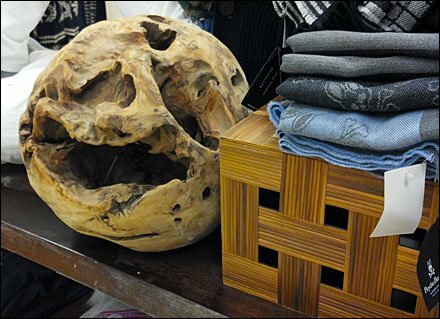 CLICK the thumbnail for a spherecal burl.